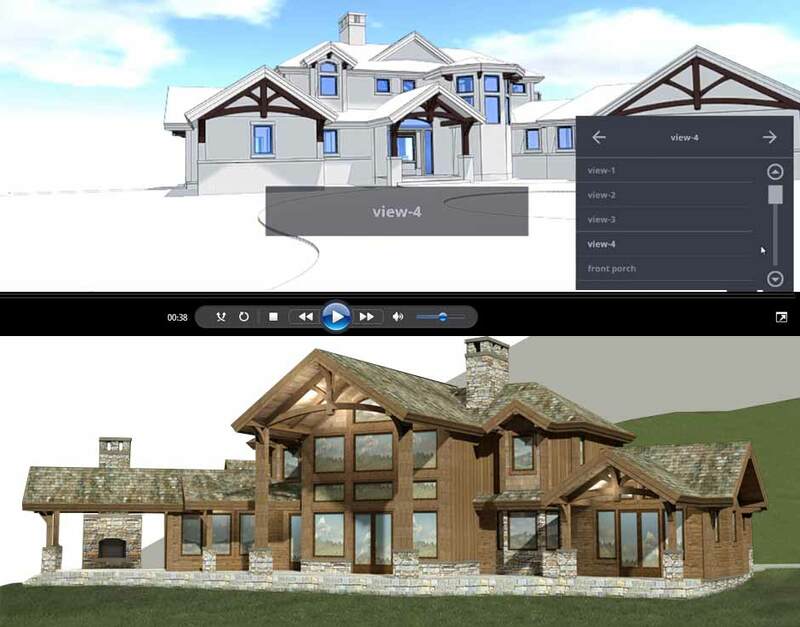 Topography, lifestyle, elevations and view corridors are just a few of the aspects your M.T.N degreed architect will contemplate as they work with you one-on-one during the design process for your timber or log home design. Here is a glimpse behind the scenes of some of our current "On the Boards" projects. Will your project be next? 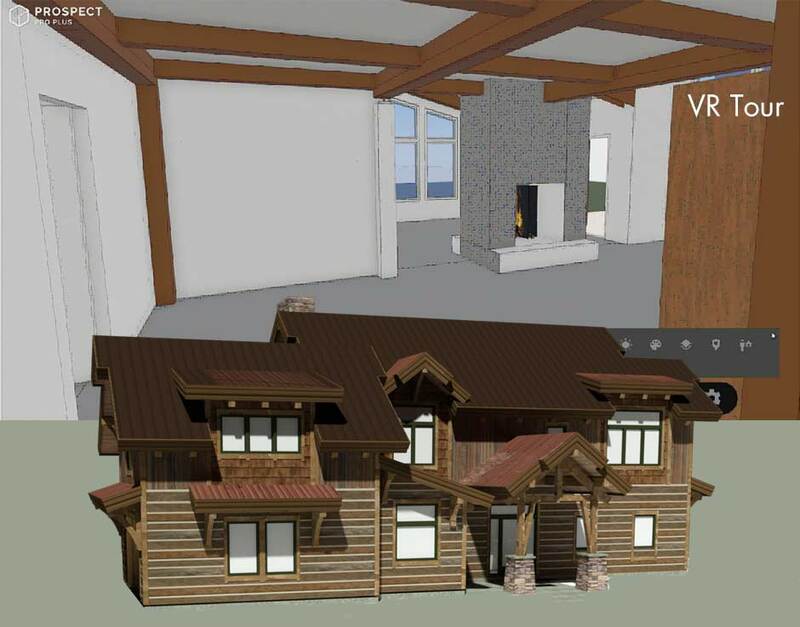 The Clearwater floor plan concept was the perfect starting point for this timber cabin design, waiting to be built near water in historic Lake Placid, New York. The exterior was envisioned with rustic cladding, while the interior will feature drywall surfaces and authentic timber framing. Square Footage: 2,769 sq. ft.
Their property in Southern Utah is snuggled within the pine trees and offers the perfect four-season experience. This family's future home needed to reflect their location, provide the best use of interior spaces, and take full advantage of their view. 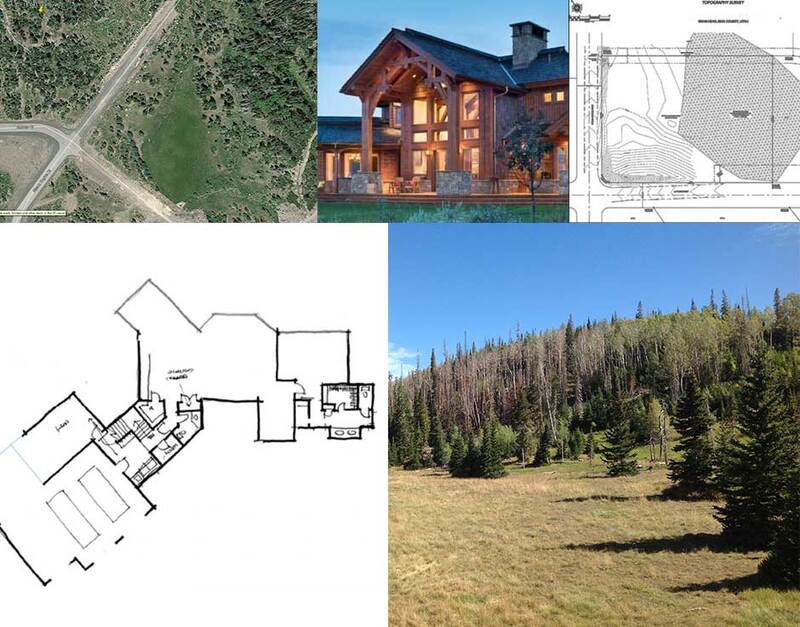 So after careful consideration, they chose M.T.N Design to bring their vacation home to life, and we were with them from their initial topography survey to their engineered construction drawings. Square Footage: 3,700 sq. 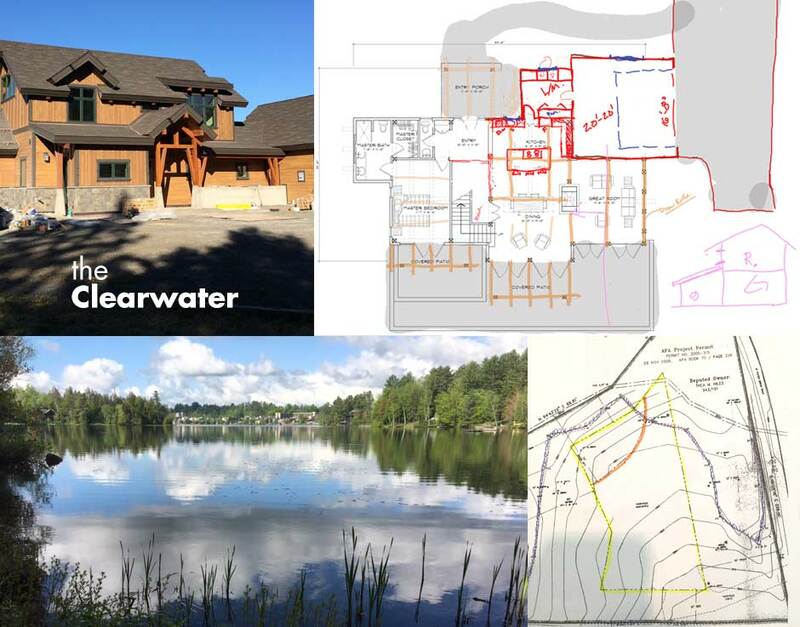 ft.
With their property secure on a beautiful Canadian lake, this couple started working with M.T.N to design their ideal lake home. 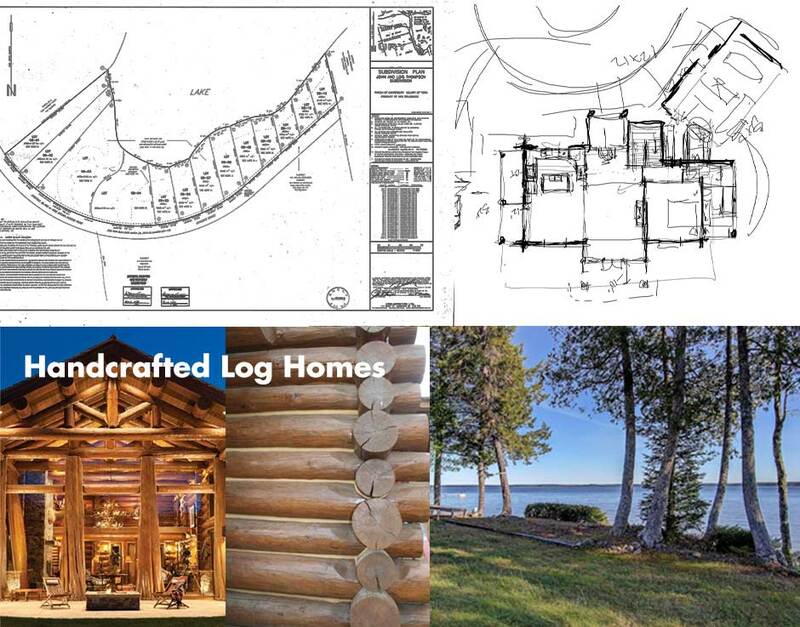 First and foremost, they chose to go with handcrafted log home construction because they love the non-uniform look of the stacked logs. 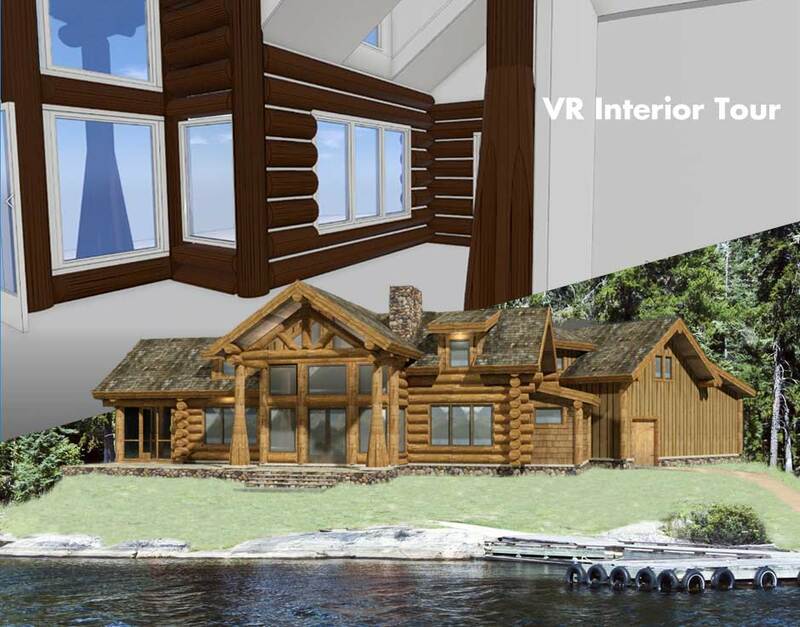 Lake home design elements include a garage with plenty of space for water toys, a rear door for quick lake access, and over-sized great room windows that will look out to amazing views of the water. Square Footage: 2,650 sq. ft. 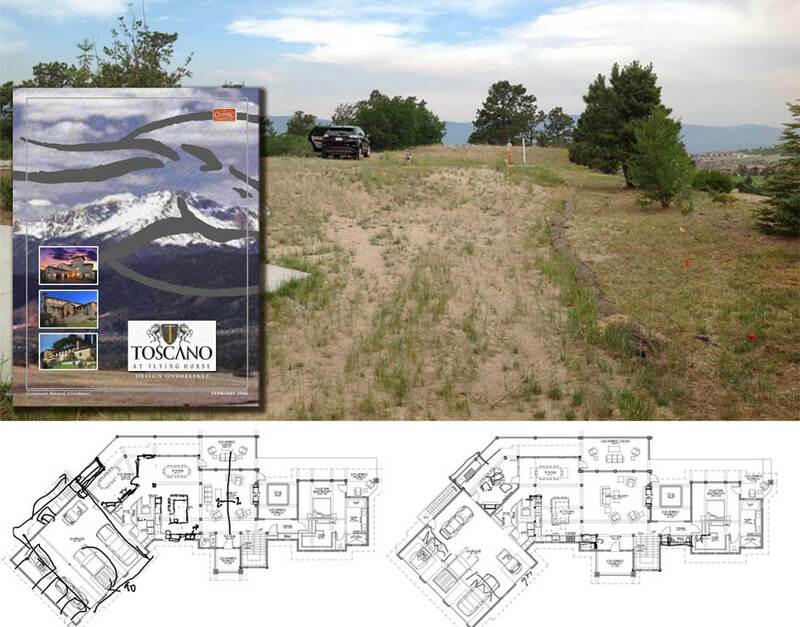 Your land can have a dramatic impact on the final design of your home and this project in Colorado is a great example. 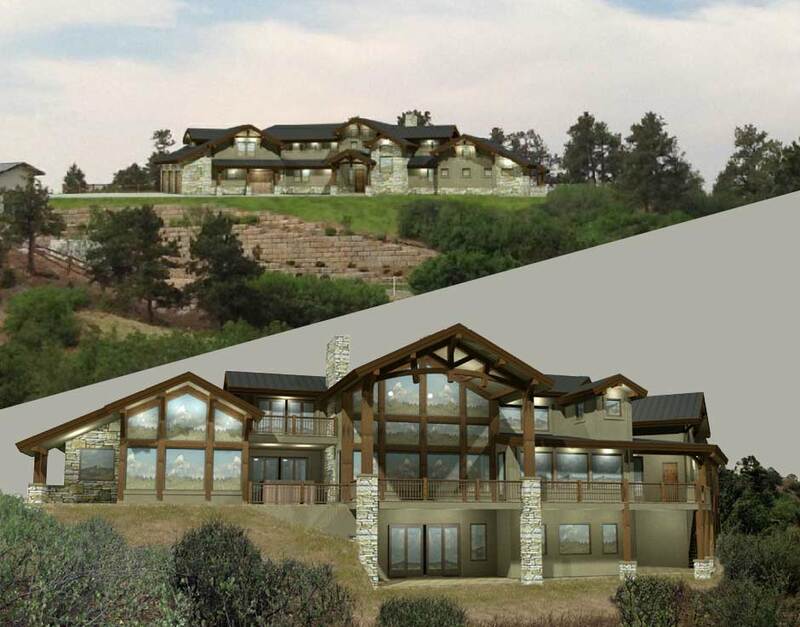 Their M.T.N designer created a concept that gently wraps around their curved bluff and uses the slope to include a partial walk-out basement. While the rear elevation takes full advantage of their views, the front elevation focuses more on creating an inviting entryway with plenty of parking space. Square Footage: 4,862 sq. ft. 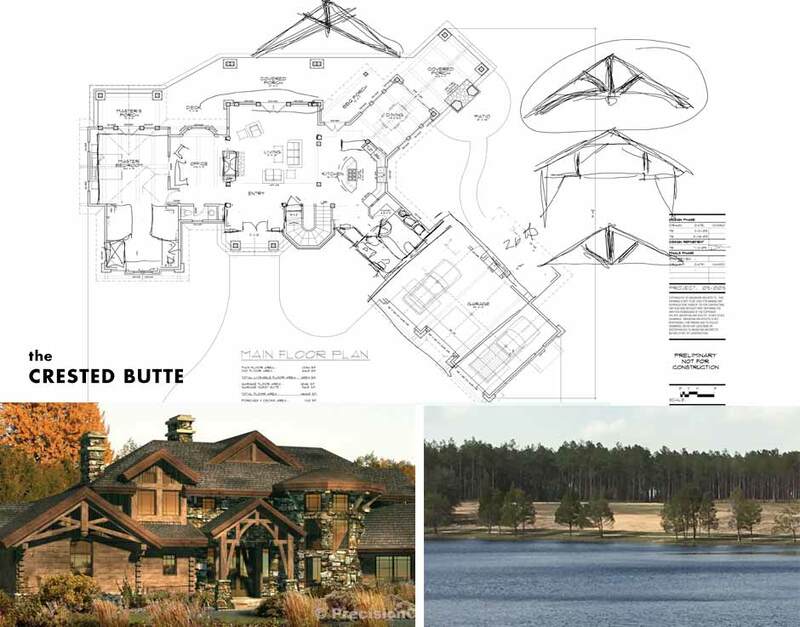 The Crested Butte conceptual design has been an inspiration for our clients from coast to coast, but this is the first version being built in Florida. While the basic layout remains similar, key changes included removal of the wall between the living room and den, the addition of an extended covered deck, and a more robust mudroom. 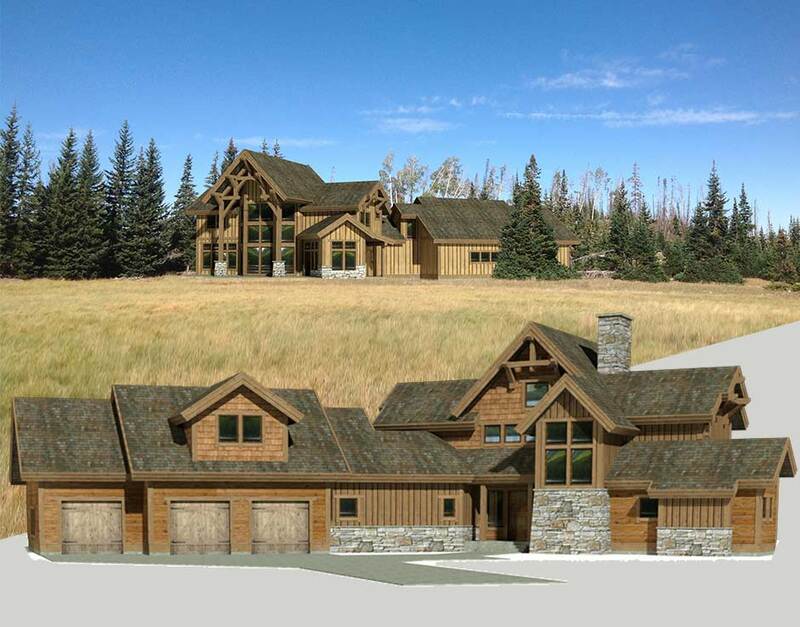 The owners also chose to modify the design from a hybrid log and timber structure to just timber framing, where they also chose a timber truss style that fit more with their unique style. They were able to view these changes in an interactive virtual tour. Square Footage: 2,946 sq. ft.